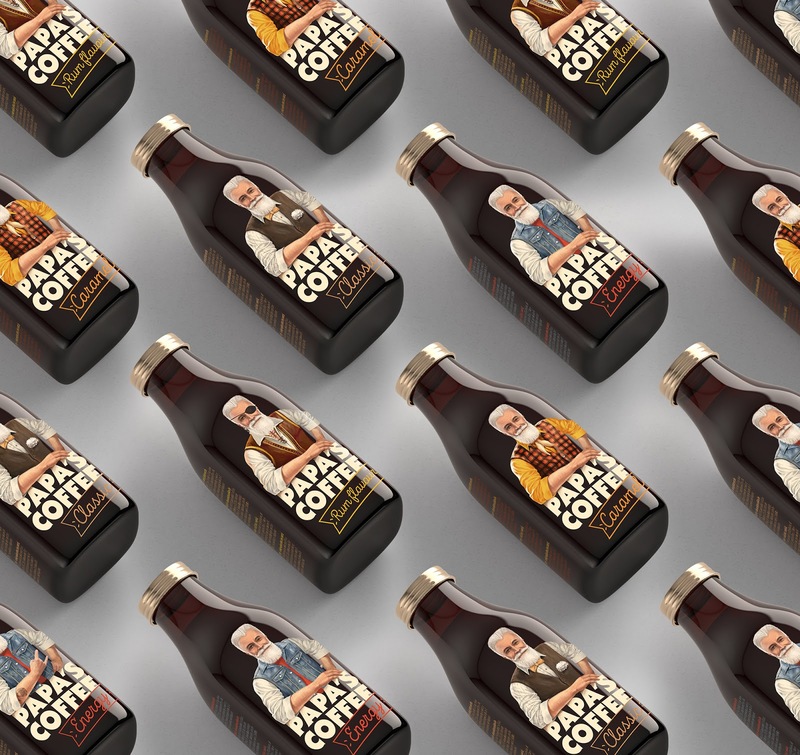 Task: to create a label design for iced coffee. 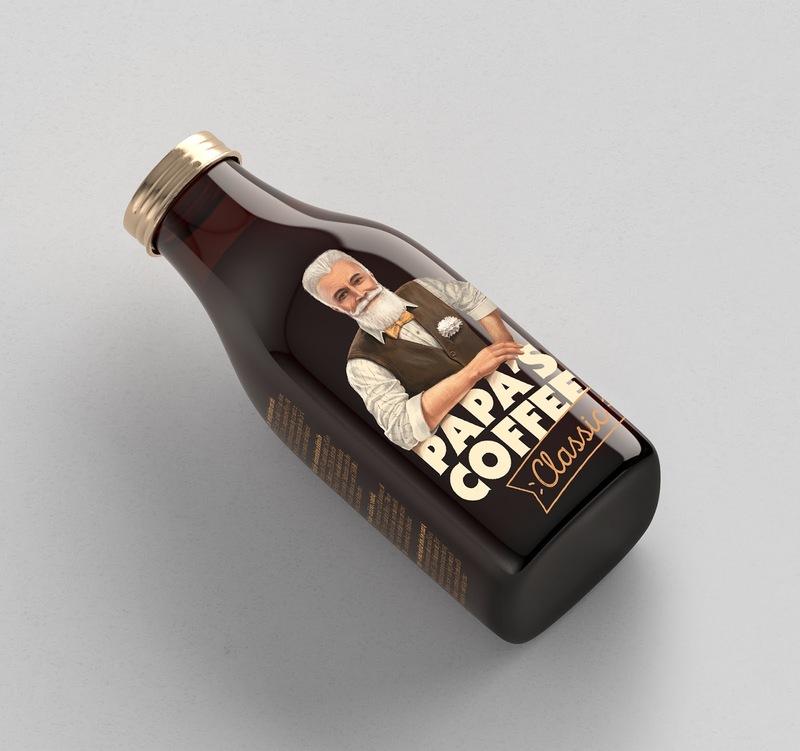 Papa's Coffee is a recently created Czech brand of alcohol-free coffee beverages based on black coffee without any artificial additives. 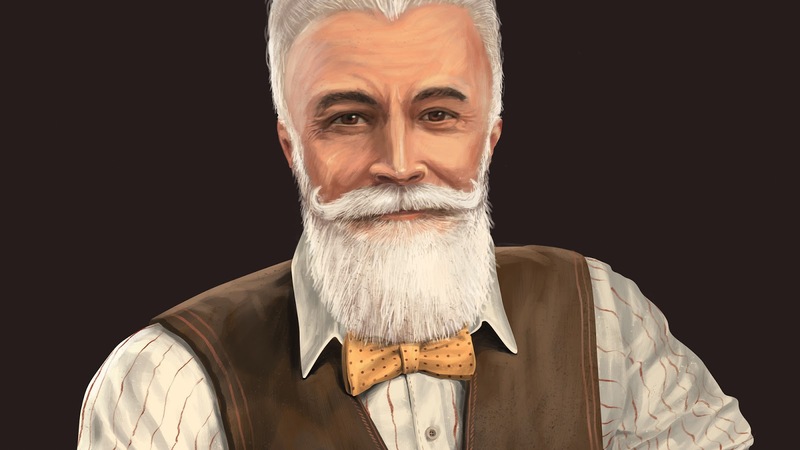 The product's primary feature is its boosted strength, which allows it to achieve the highest stimulating effect. 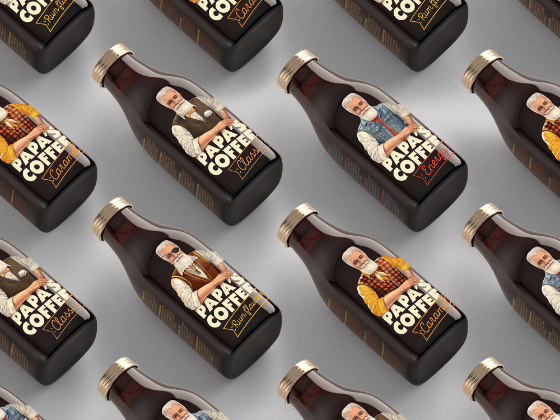 The product's potential customer base consists of people who lead active lifestyles (e.g. car drivers), everyone who's constantly in motion but is reluctant to consume energy drinks. 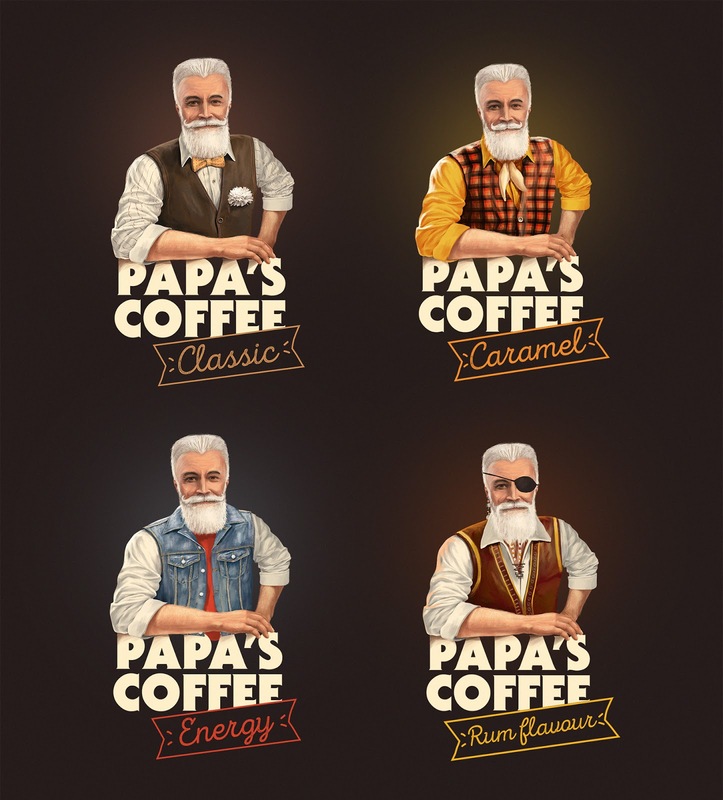 A concept of Papa changing his outfit on the label in accordance with the drink's various flavors was developed for brand's subsequent evolution. 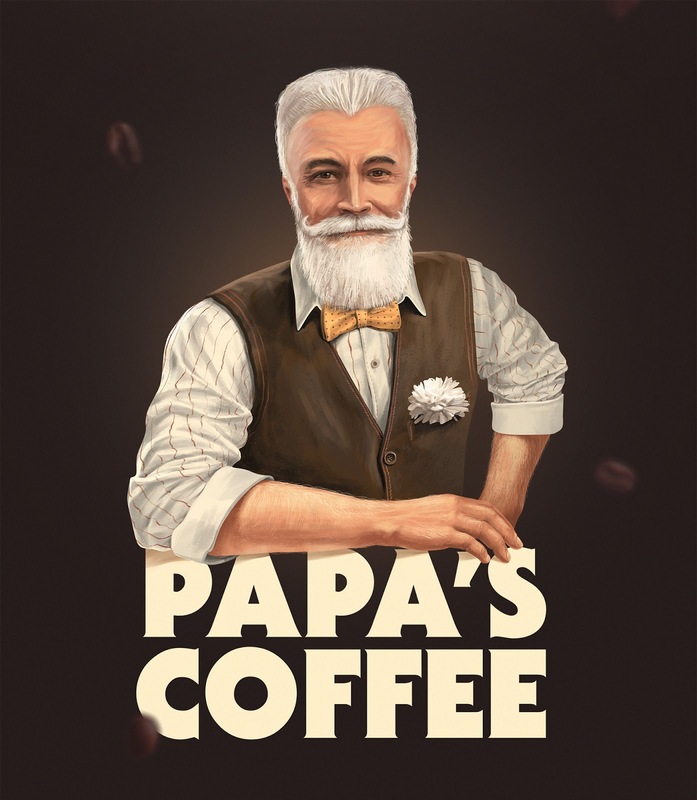 Papa is an open and versatile guy who's not embarrassed by his appearance, and looks great in whatever he's wearing at the moment.